Do you know people who use these terms interchangeably? Do you think they are right to do so? How well can you differentiate between the job of a marketer and that of a salesperson? Find out more about what each of these words mean and how to best tell them apart. Who knows? You might have the possibility to choose between sales and marketing departments one day. Make sure you know what you are choosing between. The sales department is in charge of the movement of products or services from a producer or provider to a customer. It can be a large department or a department of one. The tasks of the sales personnel are to become acquainted with what they need to sell, learn all about the market for the products and adapt their speech to their targets in order to close as many sales as possible. The act of selling can be done by direct contact, over the phone or through the Internet. A salesperson is mainly needed for products that do not yet have high demand and need to be presented to the people. This goes for new products, products that have been modified and need to be reintroduced to the market and products that have not done well on their own and need a push. A salesman pushes a sale in the sense that they convince a potential client by showing them how the product meets a real and immediate need. The actions taken in sales are relevant for the present of a business, as revenue is necessary for the company to remain on the market. Before they come in contact with personnel in client relations, customers interact with the sales staff. This means that the product and the salesperson are evaluated at once: the salesman’s quality voucher and the product’s performance. Marketing aims to build a bridge between clients and producing companies. It is intended to create demand and help promote products and services, in accordance to what is required on the market. This means finding the right target, getting feedback from already existing clients, analyzing behavior, studying the competition, deciding on communication strategies and finding ways to make the offerings of the company more appealing. The actions undertaken within the marketing department concern a longer period of time. There has to be a history to analyze and a future to project. Although the decisions made within this department may not immediately affect the activity of other departments, results are still expected in time. So what is the difference between sales and marketing? The sales department deals with the actual movement of services and goods, whereas the marketing department decides how the services and goods will be sold – the strategy, the approach and most importantly the target consumers. Successful sales depend on the need of the client. It is the job of the marketing department to create the need and teach the sales department how to present it. Ideally, the two departments are meant to work together, and the best team would be made out of a salesperson and a marketer. The salesperson has the charisma and the ability to think on their feet, adapt their discourse and efficiently jump all obstacles placed before them by a reluctant client. The marketer, on the other hand, prepares the ground, does all the research and prepares an invincible argument for the salesperson. Sales refer more to the present, to the pressure and the need to sell as much as possible. In order to do so, they can also alter the price within some limits. They can decide on the spot how receptive a client is and give a considerable discount, or they can even increase the price if there is such an occasion. Marketing refers to past and future purchases. They establish the right pricing parameters for the products to sell. Normally, people are either great in sales or in marketing. 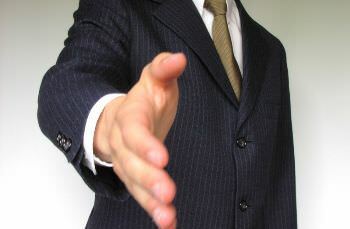 Salespeople are outgoing, friendly and great negotiators. Marketers can also be outgoing and friendly, but closing the sale matters the most and negotiation skills are more important. By comparison, marketers are great communicators and know how to include the wishes of the clients into the product.